April 16–Holy Tuesday 9:30-2:00 Trinity Cathedral Trenton Register Now Please note that all clergy are encouraged to vest for the Eucharist in cassock, surplice and red stole. “When I Am Lifted Up from the Earth: Preaching the Cross Today” The Rev. 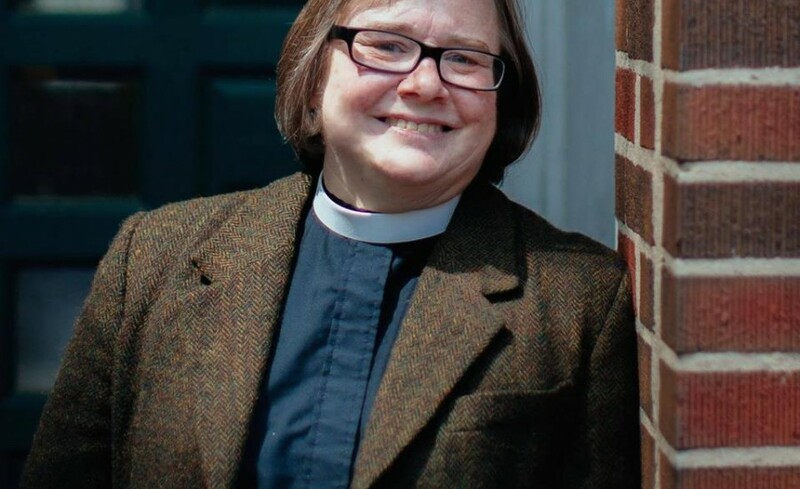 Canon Dr. Kara N. Slade Trinity Church and the Episcopal Church at Princeton University What does it mean to preach the Cross and the Atonement as good news today? This lecture will draw on Scripture, art, and theological texts to reflect on the saving work of Christ and how it can come to us – and to our congregations – as gospel. In a time when “incarnational” has become an often-unhelpful ministry buzzword, this conference will return to the historic doctrine of incarnation and redemption to ground ourselves, and our ministries, in the person and work of Jesus Christ. By reading the Christmas Eve and Christmas Day gospels closely together, we will explore how our proclamation of the eternal Son as the Word made flesh is truly good news for our congregations—and ourselves. Kara serves as Associate Chaplain at ECP and Associate Rector at Trinity Church, and teaches Anglican Studies at Princeton Theological Seminary as an adjunct instructor. She lives in Procter House with her geriatric miniature poodle, Deacon of Durham. Kara received her PhD in Christian theology and ethics at Duke University in 2018, with research interests that include Karl Barth, Søren Kierkegaard, and the ethics of science, technology, and medicine. A former specialist in the dynamics of nonlinear and complex systems, she earned the BSE, MS, and PhD in mechanical engineering and materials science at Duke’s Pratt School of Engineering (and served on the faculty there) before joining NASA as a research engineer. After leaving government service, she returned to Duke in 2009 as a student in the Divinity School, and stayed on for her second doctorate. A lifelong Southerner, she is a zealous convert to all things New Jersey.